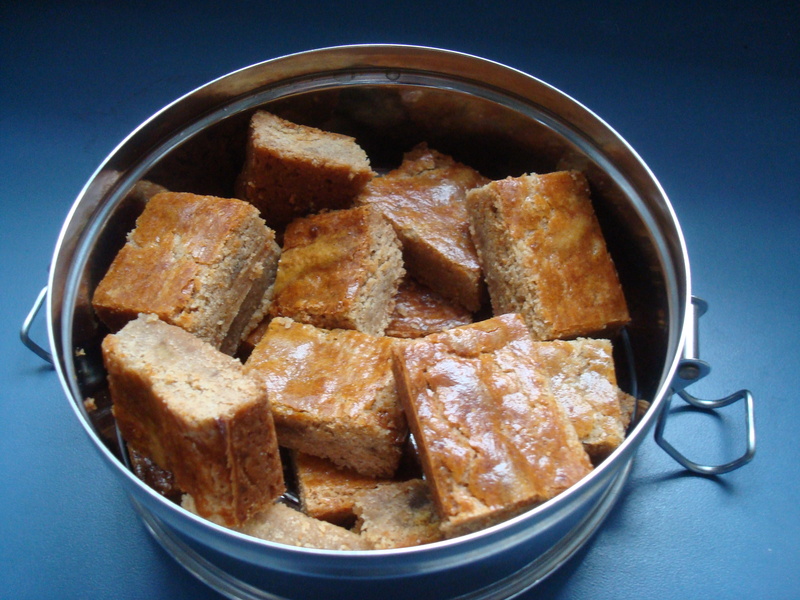 Candied Ginger (with Cardamom) Bars. I seem to put spicy-sweet Indian cardamom, which most people associate with chai tea, in just about everything these days. The peppery spice (seeds contained in green or black pods) always appeals to me. I knew of green and black varieties but didn’t realize cardamom falls into the ginger family Zingiberaceae (makes sense since the two spices go so well together). I recommend buying your pods whole and then using a mortar and pestle to crack them and grind the inner seeds. Cardamom has a powerful aroma but it fades rather quickly after the spice is ground, I’ve learned. It’s shocking to buy some fresh and compare its pungency to that of the forgotten jar that’s sat on the shelf. 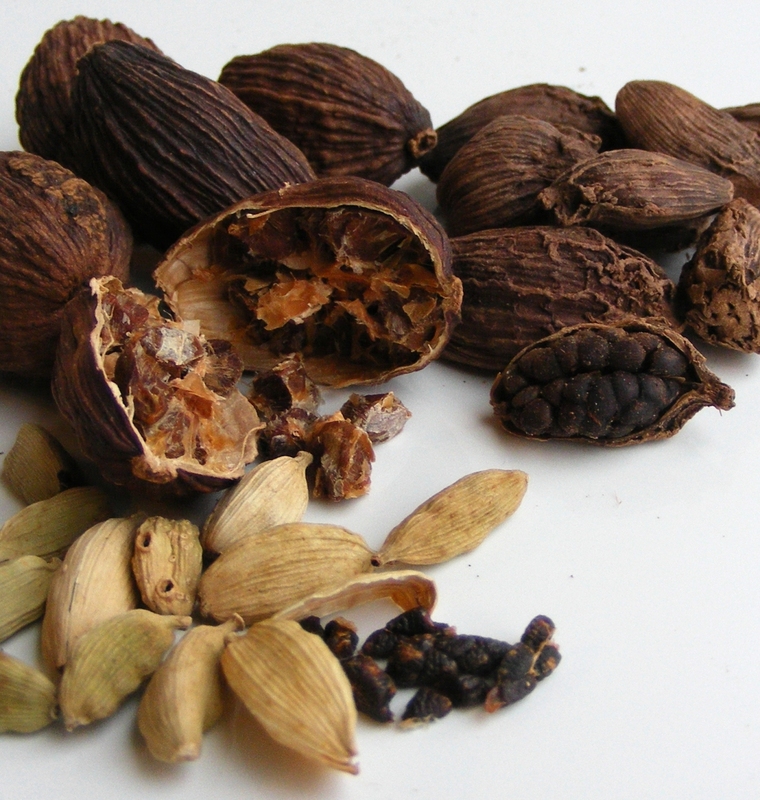 So where should you start in your cardamom adventure? It melds magically with butter and sugar in cookies. Try these Candied Ginger Bars I just made (the butter is worth it) with gobs of crystallized ginger. They reminded me of the also butter-rich Honey and Cardamom Cookies (with ground almonds as part of the flour) when I reviewed The Spice Bible cookbook for The Sun. The fresh apples still in season also beg to be dressed up with cardamom. This weekend, I mulled my local apple cider with whole cardamom pods, star anise, nutmeg, cloves and a cinnamon stick. 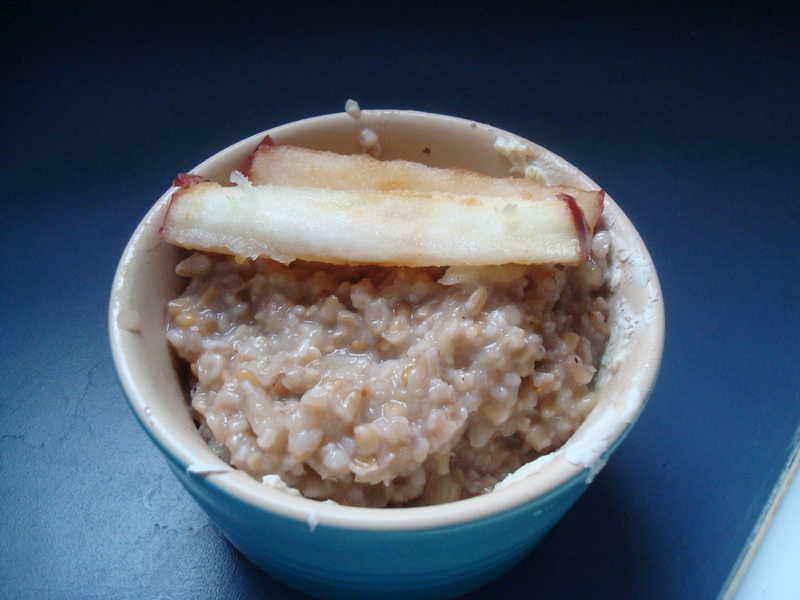 I jazzed up steel-cut oatmeal with grated apples (thank you, S-I-L Julia! ), freshly ground cardamom, nutmeg, cinnamon, crushed walnuts, flax seeds, maple syrup, and dried coconut. I’ve heard it takes some folks a while to warm up to potent cardamom. This is a good place to start. I also threw some into applesauce and the quince paste I concocted, although in the case of the later, it may mask some of the quince’s subtle flavor. How have you been cooking with cardamom these days? In Indian dishes, to be sure. In your chai tea, though you might not even know it. I cheated and drank some from the boxed mix tonight. I keep meaning to get around to brew my own chai blend sometime. I used the stickier seeds from larger black pods earlier this fall for a Rajasthani eggplant recipe. Indian ethnic markets are great sources of big bags of cardamom pods for cheap. Now I just challenge you to use them quickly, before the spice loses its magical but fleeting verve.